I am ecstatic that I found this course while on a “staycation.” For 40 bucks, you get to play a round on a Donald Ross designed course that has been lovingly cared for by the management and players. The greens are in excellent condition and were being rolled by the grounds staff -something you rarely see in most public courses. The bunkers, which I think are the most visible barometers of a golf course’s health, were raked and full of fluffy sand. 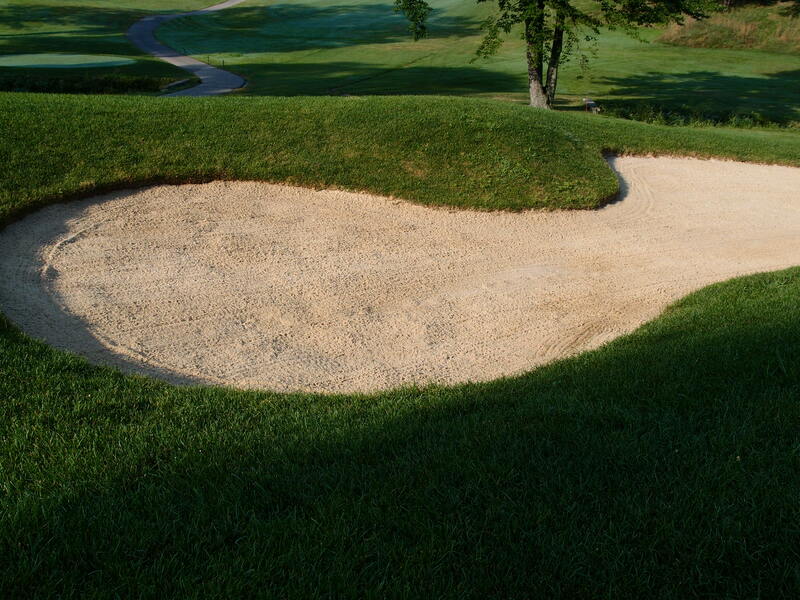 I have read that Donald Ross preferred grass on the upslopes of the bunkers like the ones in his native Scotland. The greens are small and challenging and the landing areas for the drives, while fair, are bounded by dense maple forests. It is not a course for spraying long shots and recovering with a short iron from the other fairway. The greens are not shielded from the bump and run, but it has been so wet lately in Northeast Ohio that it really isn’t an option. 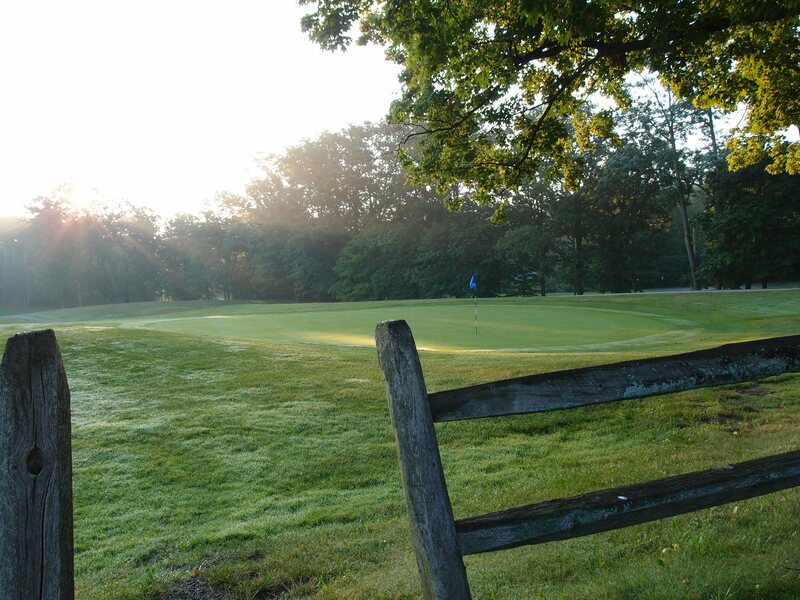 Being the first to tee off at 6:18, I was done in about two hours and home for breakfast -something I used to do in Iowa at my old club, Wakonda. I guess I have a karmic link to golf courses with native American names. (Manakiki means maple forest).